Has Liberty shot its own foot? Put yourself in the shoes of a regular Grand Prix promoter. You run a circuit, a business that was very profitable until a decade ago but has suffered tremendously from the proliferation of new racing tracks all over the world, so you're already running a tight ship to make ends meet. But you also organise a Formula One Grand Prix every year, with the promoters' fee being tremendously expensive and really giving you no hope of making any profit out of it. You may think it's strange that an event that attracts, let's say, 80,000 spectators and charges very high ticket prices can actually lose money, but that's the sad reality these days that promoters have to face. If you're paying 24 million Euros per year - like quite a few of the European promoters are paying - and that's not all you're going to spend to have the race - that's just the money you have to part with to satisfy the Formula One Group's contractual demands. You have to hire extra people for weeks before and during the event, you have to make sure your facilities are in pristine condition, so there will be refurbishing, painting, all sorts of high-end maintenance work going on, you have to invest in promoting the event to attract spectators, in short you're looking at an extra bill somewhere between three and five million Euros to add to the bill to get your total expenditure. Even though some ticket prices are eye watering, very few people end up buying three-day tickets and you can see at most races the grandstands are quite empty on Friday. According to recent studies done by European promoters, the average spectator spends around 250 Euros for their ticket, meaning that if you sell 80,000 tickets your income will be around 20 million Euros, way short of what you're spending to organise the event. 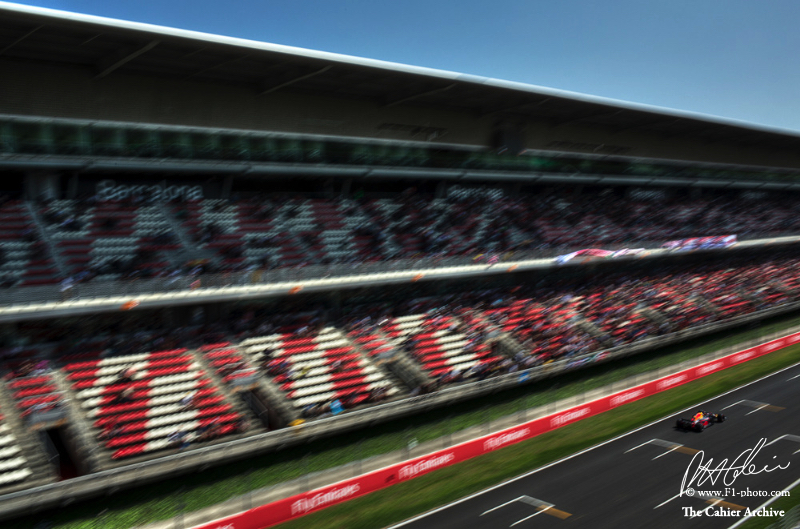 Recently the Spanish Grand Prix saw nearly 92,000 ticket buyers come to the Circuit de Catalunya - as those who have tickets come as often as possible - the total for the three days was nearly 200,000 but most of them were counted three times - and that meant the organisers lost money. At best, according to the average expenditure I mentioned before, they made 23 million Euros in ticket sales, still bellow what they're paying the Formula One Group to host the event, so you add their running and promotional costs and you quickly understand they've lost money and not a small sum at that. Knowing this is the most common situation for the Grand Prix promoters, now put yourself in their shoes and think what they're reaction must have been when they were informed Miami was about to do a deal with the Formula One Group that involved paying no promoters fee at all, with the local government being responsible just for the running and promotional costs. Yes, you read that right, Miami will get a Formula One Grand Prix for free, because Liberty Media couldn't find any major city in the United States willing to pay to host a Grand Prix. Because there may be some sensitive souls reading this column I cannot really use the exact words three of the five promoters I met since the Miami news came up used to express their feelings, but let's just say they were less than pleased with Liberty's decision - far from it. Think of what the people in Austin must be feeling, bleeding nearly 30 million dollars per year in promoters' fees alone only to be told Miami wouldn't have to pay a cent for their own event. Wouldn't you want to break your own contract and drop Formula One for good? Obviously the news spread like wild fire and in no time at all the promoters from the Azerbaijan Grand Prix made it clear that either the second five-year period of their contract involves a much lower fee or they'll drop Formula One and the Baku street race. At the same time the people from Hockenheim came up with a different plan, based on the huge losses they've suffered since Michael Schumacher's retirement: they'd like to host the German Grand Prix every year but only if there was no promoters' fee involved, as they would be happy to split the profits with the Formula One Group. With several contracts coming to an end soon - China, Spain, Austria, Great Britain, Germany, Italy, Singapore, Japan and Brazil have contracts that end either this year or in the next two years - Liberty will soon be flooded with demands of a much better deal for the promoters and if they are clever the thing they could do would be to change the business model along the lines of what Hockenheim is proposing. Without a promoters' fee and putting 80,000 people in the stands there would be a net profit of around 15 million Euros and I'm sure the circuits would be happy to take a small percentage, even five or ten per cent, because at least they'd be making money rather than losing it, as they've been doing for years. Whatever happens next, by offering a race for free in Miami, Liberty opened a can of worms and will have to deal with the consequences fairly quickly. The other big problem Liberty will surely face now, is how the other current and future candidates to host Grand Prix will react to this deal with Miami. How can Liberty expect Copenhagen, Hanoi, Berlin or Assen to cough up in excess of 24 million Euros per year when they know another promoter is getting its race for free? What message is Liberty sending to the promoters of these potential events, that in some cases involve the local authorities? Essentially, they're telling them that all they want from them is money, because it's only Miami that is getting a new deal for free. Yes, i know Monaco doesn't pay for its race, but the Monaco Grand Prix is the jewel of the Formula One's crown and expecting any other event to attract as much interest, glamour and VIP's as the Monegasque race is not realistic. Last Sunday, in Monaco, Toto Wolff hit the nail in the head, showing he has a much better overall understanding of everything involved in Formula One than most other people: "Sanction fees were one of the three key revenue generators in the old Bernie Formula One business model. He was exceptional at these deals. I am not sure that is sustainable. It is clear that when there is a change of regime, people will, and promoters will, negotiate and try to re-structure the business model. Bernie was squeezing the last cent out for the benefit of the shareholders and the teams, but it left certain promoters in a very difficult economical situation. I have confidence in the current management team that they will take the right decisions and find the right agreements with promoters, sign new race tracks -- I think Miami is very exciting. But it is also clear that that one pillar is going to be difficult to maintain on the levels we have seen before. We have to grow in other areas, we have to grow in broadcast deals, digital revenue and monetize alternative revenue streams."